This year the Church will mark on May 13th the centenary of the apparitions of the Virgin Mary at Fátima, and see the canonization of Blessed Jacinta and Francisco Marto, two of the children to whom Our Lady appeared and spoke. In the Ordinary Form of the Roman Rite, the feast of Our Lady of Fatima is on the general Calendar, and may be celebrated as an optional memorial on that day, but in the Extraordinary Form, it is the feast of St Robert Bellarmine. 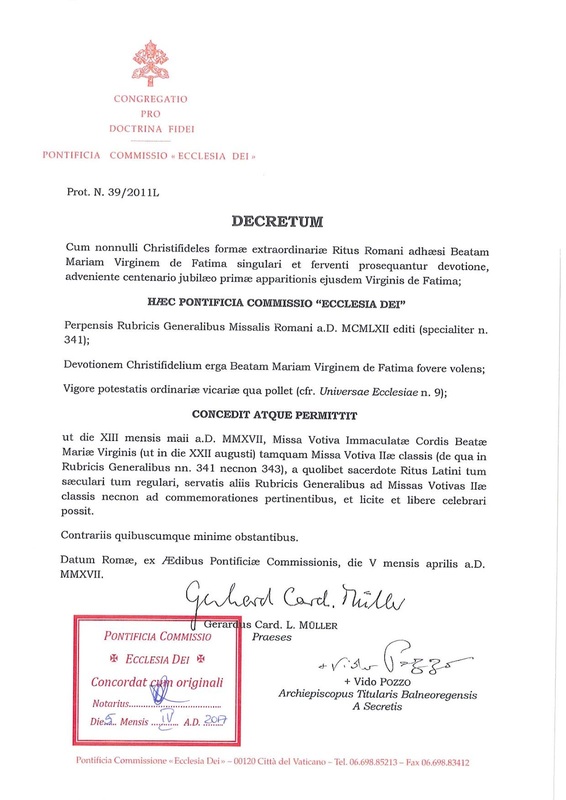 The Pontifical Commission Ecclesia Dei has just published the following decree concerning the celebration of a Votive Mass of Our Lady on the day of the centenary. 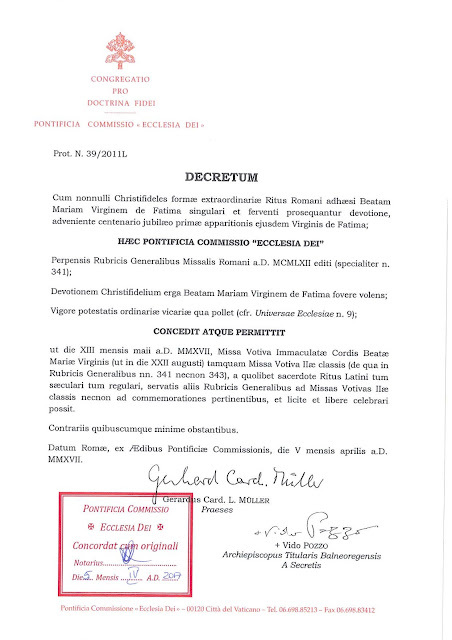 Since section 343a of the General Rubrics states that Votive Masses of the Second Class admit one commemoration, the commemoration of St Robert should not to be omitted by those who do avail themselves of the permission granted hereby.